Which This Is Us–esque Show Has the Most Potential? I’m thinking of a TV show that focuses on the ways in which family and friends are interconnected, that delves into how people cope with loss, that wrestles with the notion of fate, and that is designed to make viewers weep cathartic tears on a weekly basis. Can you guess which show I’m describing? Each of these series is different enough from This Is Us to not seem like a true copycat. But given their themes and, above all else, their earnestness, it’s fair to assume that network executives hope to capitalize on an interest in narratively intricate, heartfelt storytelling that This Is Us has so successfully tapped. Of the three This Is Us–adjacent shows I’ve mentioned, the one that seems to have the most potential so far is God Friended Me, which debuted Sunday night. Trust me, that surprises me as much as it surprises you. The title, concept, and promos are all patently ridiculous. God has a Facebook profile and he friends people? That’s absurd. We all know God is strictly on Insta. But God Friended Me has a few things going for it. (Feel free to insert a joke about the show having God on its side.) 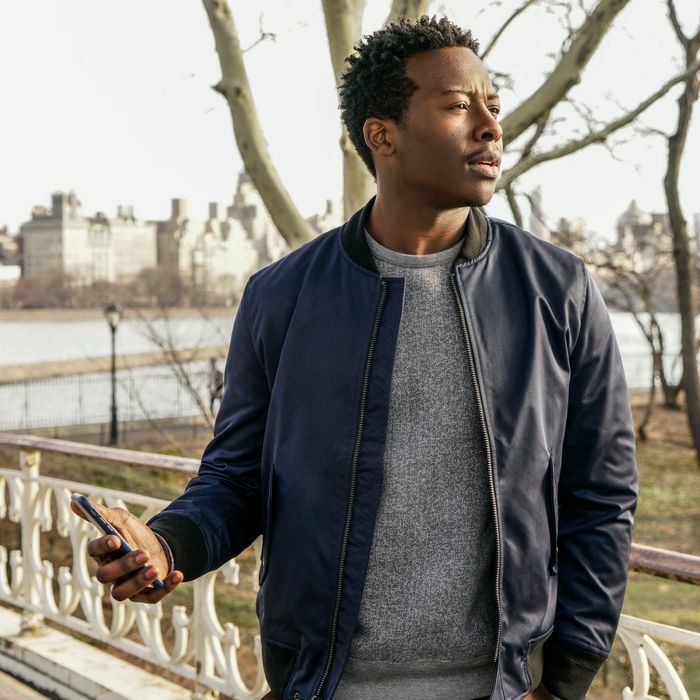 Brandon Micheal Hall, who previously starred in ABC’s abruptly canceled The Mayor, stars here as Miles Finer, a New Yorker who hosts a podcast about atheism and gets that fateful friend request from up above. Hall is charismatic and likable enough to ground the show’s fantastical premise in something semi-real, or at least real enough to make the series palatable. God Friended Me also has a sense of humor and a sense of plot-driven momentum: Miles, his friend Rakesh (Suraj Sharma), and Cara (Violett Beane), a journalist he meets in the pilot, together attempt to investigate who is posing as God and trolling Miles with all this Facebook outreach, which gives the show a procedural feel. But Miles also can’t deny that some of this social-media action — God also recommends friends to Miles, which leads him to connect with and help others — is doing good in a way that suggests a larger hand is at work here, which adds deeper, richer subtext. The show can be a little obvious (Miles’s father is, of course, a pastor) and its dialogue can be a bit pedestrian. It also seems to have zero understanding of how journalism works. After Cara, who works for an online media outlet, fails to file any copy for six weeks (! ), she’s told she has a week to write something that will result in robust page views. Her editor doesn’t say what the subject of her piece has to be, only that it has to generate traffic, because yeah, sure, that’s exactly how editors at major websites assign stories these days. But God Friended Me earns major points for not being a drippy, faith-based program about the Lord’s miracles, something it easily could have been. Its creators, Steven Lilien and Bryan Wynbrandt, veterans of Goliath and Hawaii Five-O, seem more interested in exploring how a rational thinker functions when confronted with that which cannot be otherwise explained. If the series continues to zero in on the contradictions that life throws at Miles and how he tries to square them with his own established belief system, it could be one of the fall’s more pleasant, unexpected surprises. Based on its first episode, I didn’t feel the same way about Manifest, which is populated with characters who seem more like TV characters than actual people. Again, it’s hard to judge any series on a single episode, so it’s possible my impression about that will change as time goes on. I have a similar problem with A Million Little Things, the new ABC drama that is the most obvious descendant of This Is Us on the fall schedule: It’s an ensemble drama that courts tears so blatantly that you practically expect one of the protagonists to reach though the screen and hand you a tissue. Beyond This Is Us comparisons, early press on this series from creator D.J. Nash (Growing Up Fisher) characterized it as a Gen-X Big Chill, but it’s more like a middle-aged 13 Reasons Why. In the pilot, Jon Dixon (Rob Livingston) is in the middle of handling a business call when he steps onto the balcony off his private office and jumps to his death. In addition to his wife Delilah (Stephanie Szostak) and their two children (Lizzy Greene and Danny Dixon), Jon also leaves behind his three best friends, Eddie (David Giuntoli of Grimm fame), Rome (Romany Malco), and Gary (James Roday), who are bewildered by the suicide of such a successful, seemingly happy man and determined to get to the bottom of why he did it. Unlike the boomers of The Big Chill, these pals didn’t go to college together and they don’t come back into each other’s orbit as a result of Jon’s death. They’re very much in each other’s lives, having met by chance when they got stuck in an elevator together, prompting Jon to swear they’d remain bonded by becoming Boston Bruins season-ticket holders. “Everything happens for a reason,” he tells them in that elevator, a phrase Jon repeats over and over via flashback in the first couple of episodes of A Million Little Things, which really should be called This Is Bruhs. Each of Jon’s buddies has his own issues to confront. Gary, who provides most of the comic relief, is recovering from breast cancer. Eddie is in an unhappy marriage and, as we soon discover, having an affair with Delilah. Rome is struggling with depression and on the precipice of killing himself, too; he only stops because he’s interrupted by a phone call from Gary, telling him that Jon is dead. To be honest, I find it easier to believe that God is on Facebook than to buy into the image of Rome spitting out a mouthful of pills after picking up that call from Gary, a moment so hokey and coincidental that it minimizes how dark things actually become when a person decides to end things. As that moment suggests, A Million Little Things tries to deals with serious issues but only in the comfiest of contexts. You might tear up while watching, but you’ll never feel profound anguish or despair, and that’s by design. This is chamomile-tea-and-scented-candle drama, the sort of thing you watch at the end of a long day when you want to wear fleece pajamas while having a good cry, but don’t actually want to feel real emotions. The fact that it’s about a group of men who like sports makes it seem like a dude’s show, but its “feel all the feels” approach clearly targets that female This Is Us demo. You can see how, on paper, this would seem like a sure bet to an ABC programmer. Based on the first couple of episodes, though, it doesn’t quite work, because it’s so transparent about its intentions and also because it wants so badly for its audience to love these characters. Even though the cast is decent, the characters don’t immediately pop because the writing lacks nuance. Jon, for example, seems like a walking spewer of platitudes — “Dixons don’t give up” is another favorite saying of his — more than a multifaceted human being. Perhaps that’s the point. Right away, the show hints that Jon had been planning his suicide and keeping some things hidden from the people who knew him best. If the series becomes more sophisticated in its unpacking of those secrets and tries to make a more profound point about how hard it is to fully know anyone, it could become more compelling. Even if it does, though, I wonder how much staying power it has. For that matter, I wonder the same thing about This Is Us, which has always hooked in audiences by withholding information while exploring a family’s complicated baggage. Now that The Mystery of the House Fire and the Faulty Crock-Pot, which I’m pretty sure was also a Hardy Boys novel, has been resolved, the show has introduced another mystery by flashing forward to the future and inviting viewers to speculate about who Randall and his daughter Tess are going to visit in what appears to be a hospital. Already, I know that curiosity will get the better of me and I will keep watching to figure out exactly what’s going on there, and also to find out whether Kate can conceive a child, and whether Kevin will really keep dating Beth’s sister, and whether Deja can live happily as part of Randall and Beth’s family. But in its third season, the show’s habit of playing certain things close to the vest and busting out plot twists is starting to feel played out. This Is Us can be heavy-handed and overly sentimental at times, but the NBC series still has something that’s really hard to replicate: a natural and palpable warmth that makes you want to tune in every week even when your mind is fully aware that you’re subjecting yourself to blatant emotional manipulation. I’m not sure if any of these This Is Us–style newcomers possess that same quality. But if one comes closest to matching that particular mix of intrigue and heartstring-plucking, at least at this stage in the fall season, I have to go with God.